Again, if your baby isn't in a great position its ok. See the PT and then follow up with me and I will help you with some different movements, exercises and ideas to get baby moving in the right direction. If all else fails you have one other option. This is called External Version. It is when your doctor under the guidance of a sonogram physically turns baby head down. Yes, this is uncomfortable and often doesn't work fully or baby will flip back. But for many moms it is worth the try because they know healing from a c-section is harder. 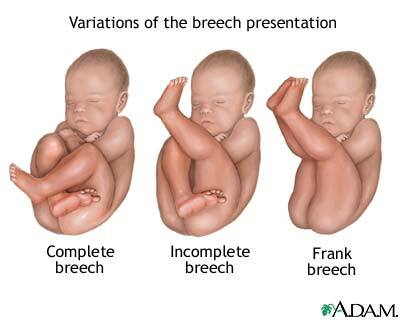 A breech baby isn't the end of the world. Neither is a c-section. But know your options, get a second opinion. And make informed choices.